Twenty-seven recently resettled refugees were among the 117 cases of active tuberculosis (TB) diagnosed in Wisconsin in 2014 and 2015, according to the Wisconsin Department of Health Services. That makes the Badger State the new refugee TB capital of the United States. Wisconsin replaces Louisiana as the state with the most reported cases of active TB among recently resettled refugees in the country. As Breitbart News has reported previously, twenty-one cases of active TB were diagnosed among recently resettled refugees in Louisiana between 2011 and 2015. Six other states have reported recently resettled refugees have been diagnosed with active TB: Florida (eleven), Colorado (ten), Idaho (seven), Indiana (four), Kentucky (nine in one county), and North Dakota (four in one county). Wisconsin may not be the actual leader, though. Only eight of the forty nine states that resettle refugees under the federal refugee resettlement program have responded to Breitbart News requests to provide this important public health data, which resettlement agencies are required by law to monitor and report in each state. Tennessee and Vermont, for instance, have consistently withheld information about the number of active TB cases diagnosed among recently resettled refugees. New York and Massachusetts have simply failed to respond to inquiries from Breitbart News to obtain this information. Nevada has responded, but offered no information.South Dakota has provided refugee health data on other issues, but has not responded to information on the number of total refugees diagnosed with active TB. 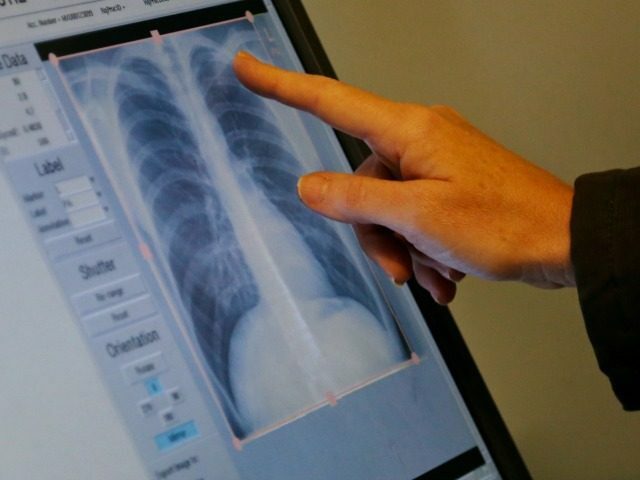 As Breitbart News reported previously, Wisconsin saw one of the biggest increases in TB of any state in 2015: a forty percent increase from 48 cases in 2014 to 69 in 2015. In 2014, twelve recently resettled refugees were diagnosed with active TB in Wisconsin. That number increased to fifteen cases of active TB among recently resettled refugees in 2015, according to the Wisconsin Department of Health Services. During that same time, the number of multi-drug resistant (MDR) TB cases increased from three in 2014 to four in 2015. Between 2005 and 2012, twenty cases of MDR TB, all foreign-born, were diagnosed in Wisconsin. Breitbart News has asked the Wisconsin Department of Health Services how many of the seven cases of MDR TB diagnosed in 2014 and 2015 were foreign-born, and how many were recently resettled refugees, but has not received a response. MDR TB is a growing threat around the world. In 2015, 480,000 of the 9 million cases of the new cases of active TB diagnosed worldwide were MDR. 190,000 deaths from MDR TB were reported. Few of those cases have made it to the United States, yet, though that may change as the number of foreign-born residents of the country continues to increase. In 2014, 91 cases of MDR TB were diagnosed in the United States. The CDC has yet to release the number of MDR TB cases diagnosed in 2015, though it has confirmed the number of active TB cases increased that year by 1.7 percent to 9,563. Active TB can be successfully treated over six to nine months with a four drug combination at a total cost of $17,000 per patient. MDR TB, however, is much more expensive to treat, and the success rate is less than the virtual 100 percent cure rate among patients treated with the standard four drug protocol for active TB. The CDC says that it takes 20 to 26 months to treat MDR TB, at a cost of $150,000. Not all patients with MDR TB survive, even if they receive the complete treatment. Sixty six percent of the 9,563 cases of active TB diagnosed in the United States in 2015 were foreign-born. Significantly, 90 percent of the 91 cases of MDR TB diagnosed in the United States in 2014 were foreign-born. The high rate of TB among recently resettled refugees in Wisconsin has emerged as a potent campaign issue in one of the country’s highest profile Congressional races. Paul Nehlen, who is challenging Speaker Paul Ryan for the GOP nomination to represent the First Congressional District of Wisconsin in the August 9 primary, is using Ryan’s aggressive support for the refugee resettlement program in pointed attacks on the incumbent. “A vote for Paul Ryan is a vote for more TB in Wisconsin’s First Congressional District,” Nehlen told Breitbart News on Friday. “Paul has voted for every budget that has funded the federal refugee resettlement program, including the most recent ‘Cromnibus Budget’ he rammed through as Speaker,” Nehlen added. “Federal taxpayers are paying resettlement agencies, like Lutheran Social Services of Wisconsin, more than $1 billion per year to resettle refugees with high rates of active tuberculosis across the country, and Paul Ryan is responsible for that,” Nehlen concluded.